LED Ribbon Flexible Strips - 12 volt DC, 12 Inch, Water Resistant Version, Black Backing, 12 inch Red/Black Power Connectors, Super Bright and Flexible. Endless uses! LED Flex Strip Ribbon Tape- 12 volt DC, 12 Inch, Waterproof Version, Black Backing, Super Bright and Flexible. Automotive, Interior, Kitchens, Baths, Signage, Hobbies, Radio Controlled planes, RC Helicopters, Rv's, Trucks and much more! Low voltage, low energy use, eco-friendly and beautiful! Easy to install, powered by any 12 Volt DC power source. 12" Red/Black, 22ga. power connectors attached - ready to wire to your 12vDC power source or switch. Can be separated in every 3 LEDs along the cut-edge (approx. 2 inches) Made of a flexible White printed circuit board with self adhesive 3M(tm) tape on back. Available in various colors: amber, blue, green, red, pure white, warm white, RGB(millions). Ready to install and mount wherever you desire! Hundreds of uses: LED Interior Lighting, Trunk LED Lighting, Foot Well LED Lighting, Wheel Well LED Lights, Gauge and Dash Board LED Lights, Limos, Bars, Boats, Under Cabinet, Cove and Ceilings, Yachts, ATVs, RC Helicopter and RC Plane LED Lights - The possibilities are almost endless! Thickness of PCB: single layer, super flexible - Super Bright! 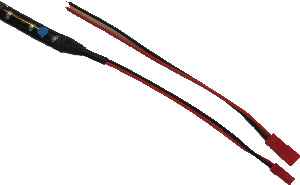 Working voltage: 12 Volt DC Power Leads: Red/Black, 22ga. 12 Inch, Quick Connector for easy installation! Standard Non-Waterproof version Impact resistant, conforms to irregular surfaces, super flexible and low profile, energy saving, low voltage! Nine different color options available! Red, Green, Blue, Amber, Pink, Purple/UV, Pure White, Warm White. Select your color from the drop down box above! Sold by the metric foot (11.7inches). If you would like your strip in a continuous length, Add the quantity of 1 foot strips to your cart. Please specify in the “COMMENTS” space in the final order screen your length and/or configuration requirements. Thank you! Need an LED Power Supply to run your LED Flexible Ribbon or LED Pods? Our 40W 12vDC Power supply or Remote Control Unit will run a full spool of 3528/1210 single color LED Flex Ribbon!